This forum contains 2,187 topics and 8,698 replies, and was last updated by Bidur 3 days, 3 hours ago. Welcome to the Corporate Deck Pro WordPress theme support forum. Welcome to the Styled Store Pro WordPress theme support forum. Welcome to the Pure & Simple WordPress theme support forum. Welcome to the Preferential WordPress theme support forum. Welcome to the Lavish Pro WordPress theme support forum. Welcome to the Circumference WordPress theme support forum. Welcome to the Luminescence WordPress theme support forum. Welcome to the Celestial (formerly Celestial Reloaded) WordPress theme support forum. Welcome to the Encounters WordPress theme support forum. Welcome to the Flat Responsive WordPress theme support forum. Welcome to the Scripted Pro WordPress theme support forum. Welcome to the Stylistic Pro WordPress theme support forum. Welcome to the StyledMag Pro WordPress theme support forum. Welcome to the Nora Pro WordPress theme support forum. 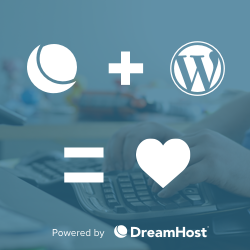 Welcome to the Caveat Pro WordPress theme support forum. Welcome to the Corporate Portfolio Pro WordPress theme support forum. The forum ‘WordPress Themes – Premium’ is closed to new topics and replies.